Tagtoo, a Taiwan-based performance marketing platform, was granted Indonesia Best Brand Awards 2018 by CMO Asia, a prestigious marketing community in Asia, at 27th World Brand Congress in Jakarta Indonesia. Founded in 2010, CMO Asia is the only global marketing network specifically dedicated to high-level knowledge exchange and thought leadership. The CMO Asia’s 12,500+ members control more than $500 billion in aggregated annual marketing expenditures and operation budget. The awards recipients are nominated and voted by an international committee that consists of COOs, CMOs and senior executives from different fields in Asia. Tagtoo is the only digital advertising agency among the award recipients. The leading advertising technology of full automation and performance-based total solution for e-commerce made Tagtoo stand out from other competitors and won the committee’s endorsement. 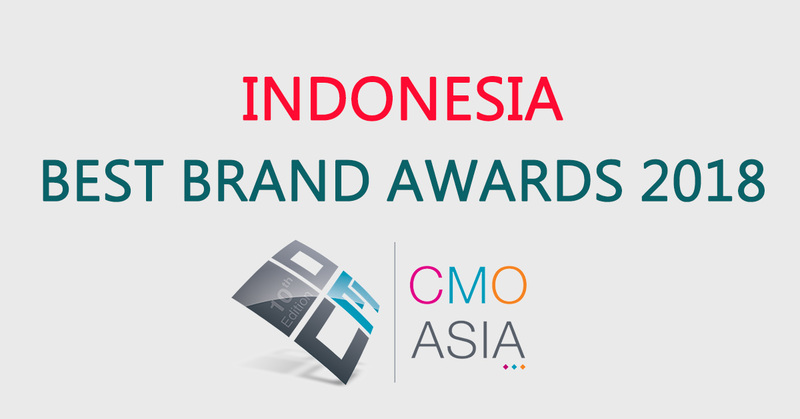 Other award winners included OPPO Indonesia, KFC Indonesia, DBS, and etc, most of them being famous and giant corporates. Taiwan-based woman video platform C Channel was granted the award as well. Overall, only two Taiwanese companies were selected. Noticed the growing trend of digital advertising and the huge potential of e-commerce in Southeast Asia, Tagtoo has branched out to this region, attended and sponsored tech conferences, such as Echelon and Tech in Asia, and organized several intense workshops targeting local entrepreneurs with Google and Facebook since 2015. Until now, Tagtoo has set up offices in Kuala Lumpur Malaysia and Jakarta Indonesia. Tagtoo’s one-stop solutions for e-commerce significantly shorten the entry barrier of adopting the latest advertising technology for advertisers, especially for small and medium enterprises. Performance-based pricing plan and the use of third-party tracking tool, such as Google Analytics, can further protect advertiser’s benefit and interest. The winning formula in Taiwan, however, is not necessarily viable in other regions. Southeast Asia advertisers need more customized technology support and corporation model, according to Tagtoo’s operation experience. Take Indonesia for example. Indonesia’s digital advertising remains at a nascent stage. Most of the digital infrastructure is not fully updated. The need for SEO and SEM support is in great demand. Furthermore, the development of Instagram-based social commerce makes it more challenging to track customer’s online behavior. In the light of this, Tagtoo initiated partnerships with several local communities to create synergy, hired local talents with a global mindset to devise workable strategies, and, more importantly, dived into each market to have a comprehensive understanding of client’s pain point. Tagtoo specialized in managing Facebook, Google Ad with data-driven strategies and proprietary technology. Very recently, Tagtoo was selected as the Top 3 Google agencies in Hong Kong/Taiwan market among hundreds of competitors. Currently, over 80% of e-commerce has adopted Tagtoo’s solutions to drive sales in Taiwan.